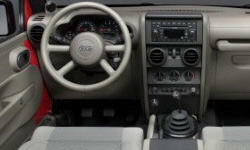 Why the 2010 Jeep Wrangler? I wasn't expecting this Jeep to be so quiet on the inside; but with the hard top on and the windows up, I can actually carry on a conversation with my passenger with no problem. Granted it's not luxury car quiet, but compared to the soft top counterpart it's a major improvement. It makes listening to the stereo much more enjoyable, as well. Make sure you buy one that is 4X4...rear wheel drive models do exist, so do your due diligence at the dealership. In 4X4 mode, this thing can really go! We just survived a few rounds of back to back winter storms and this Jeep never let us down; in fact, it felt down right playful in the snow and ice. It has enough power and torque to handle whatever Mother Nature throws its way. 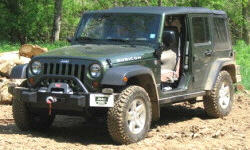 The styling has remained recognizable as a Jeep Wrangler for decades, despite tweaks over the years. Despite this, it still looks modern and a very desirable vehicle. I see these things everywhere; which is a testament to the brand. Being a true SUV, and as heavy as it is, fuel economy is not the best. However, I knowingly traded my 2010 Ford Mustang that got decent fuel economy in for this Jeep Wrangler that I knew got bad fuel economy because I wanted and needed an all season vehicle. Although my fuel economy hovers around 14 mpg, I don't regret my decision.